Crowds of people are looking forward to Vinitaly 2019, the largest and most energetic wine and spirits fair in the world. Aside from Veronafiere’s main building and the pavilions within the complex, there is another exclusive space, wine2digital, where wine professionals will meet from Sunday April 7 to Wednesday April 10, 2019, to talk about the wine business. Accessible from within the Vinitaly fairgrounds during the exposition, wine2digital will host some of the most colorful seminars, tastings and events throughout the Vinitaly 2019 season. wine2digital is the home of Vinitaly International, a digital media nerve center focused on disseminating Italian wine around the world through educational initiatives, B2B programs, communication and marketing strategies, event organization and public relations activities, all the while emphasizing new technologies, digital tools and social media. Vinitaly International’s team is led by Managing Director Stevie Kim, who has turned an oversized industrial loft space into an electric hive, brimming with character. The wine2digital atmosphere enables artistic inspiration and out-of-the-box thinking, where ideas and education thrive. 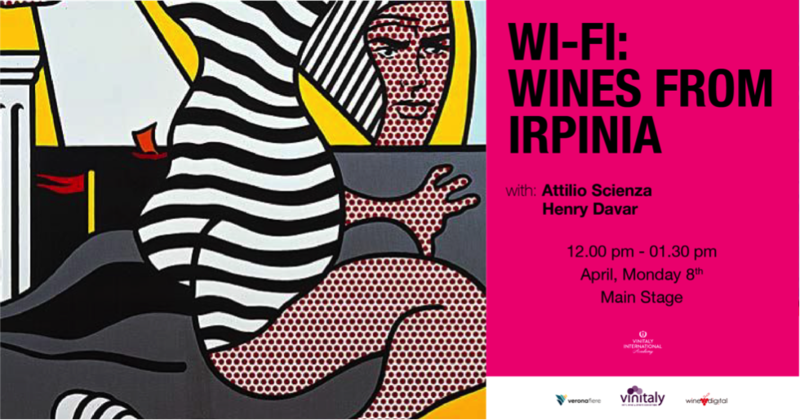 The scheduled line-up of events during Vinitaly highlights the multifunctionality of the space. 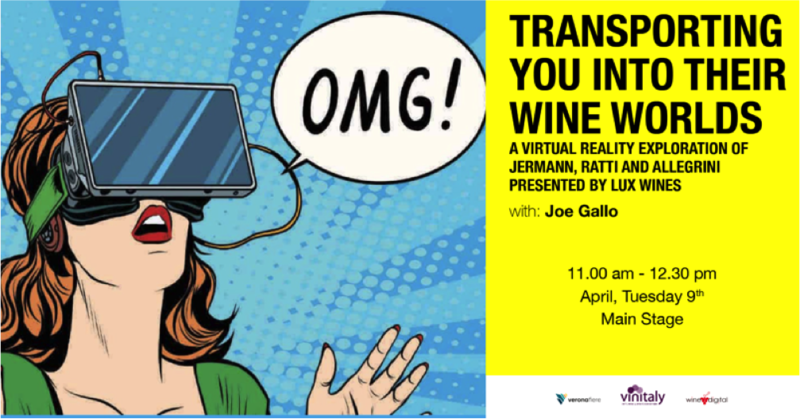 The events to be held from April 7 to 10, 2019, at wine2digital vary greatly from educational seminars to tastings, food and wine pairing demonstrations, and even a talk show and speed-dating business event. There are several A-listers scheduled and these include China’s foremost enologist Prof. Demei Li, renowned Italian vine geneticist and Chief Scientist to the Vinitaly International Academy Professor Attilio Scienza, television personality, restauranteur and winemaker Joe Bastianich, and the host of Hell’s Kitchen Ukraine Aram Mnatsakanov. Throughout each day of events, guests of the wine2digital experience will be welcomed with a glass of Franciacorta, to be served at the wine2digital bar courtesy of Consorzio Tutela del Franciacorta. In the late afternoon visitors will also be invited to taste a Barberatonic, the signature cocktail by Alessandro Carucci made with Barbera Chinato from Barbera d’Asti DOCG. Below is a list of all the events taking place during the 4 days of Vinitaly in the wine2digital space. If you would like more information you can also refer to the official website, this is also where you can register for the events. Regular updates will also be posted on the wine2digital Facebook page. Hosts: Henry Davar, Wine Expert and Vinitaly International Academy (VIA) Faculty member. Grana Padano Wine Masterclass with Joe Bastianich. #HIREMEINFLUENCER, Free for a day! About: the grand Vinitaly 2019 will be held from April 7th to the 10th. Every year, Vinitaly counts more than 4,000 exhibitors on a 100,000+ square meter area and 130,000 visitors from over 140 different countries with more than 30,000 top international buyers. The premier event to Vinitaly, OperaWine “Finest Italian Wines: 100 Great Producers,” which will be held on the 6th of April, one day prior to Vinitaly will unite international wine professionals in the heart of Verona, offering them the unique opportunity to discover and taste the wines of the 100 Best Italian Producers, as selected by Wine Spectator. Since 1998 Vinitaly International travels to several countries such as Russia, China, USA and Hong Kong thanks to its strategic arm abroad, Vinitaly International. In February 2014 Vinitaly International launched an educational project, the Vinitaly International Academy (VIA) with the aim of divulging and broadcasting the excellence and diversity of Italian wine around the globe. VIA this year launched the seventh edition of its Certification Course and today counts 168 Italian Wine Ambassadors and 13 Italian Wine Experts.